Most of the West might not give two farts about Monster Hunter, but Japan adores it. 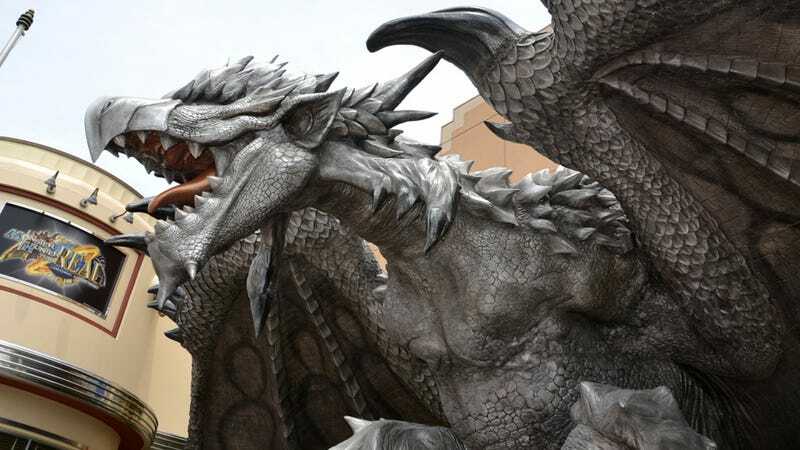 Capcom's monster hunting series is appearing at Osaka's Universal Studios Japan this summer in giant statue form as part of "Monster Hunter Real 2012". By "real", I'm assuming they mean "herky-jerky"? Last year, Universal Studios Japan held "Monster Hunter Real 2011", and if everything goes according to keikaku, it will hold "Monster Hunter Real 2013" next year!